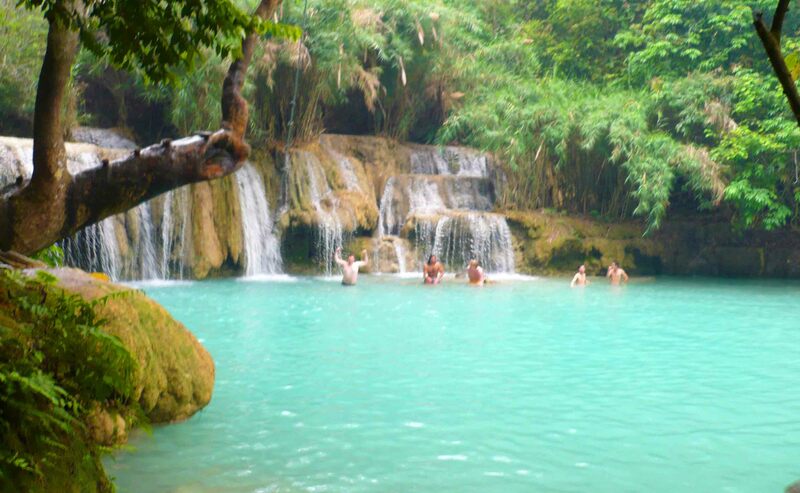 Laos is a wonderful, wonderful country to visit for the traveller. Really, it’s hard not to fall in love with the place. It’s often bundled in with other South East Asian countries, in fact I think it’s fair to say I didn’t meet any traveller when I was there who was JUST going to Laos. It’s almost a sure thing that if you go, you’ll also be visiting Thailand, Vietnam or Cambodia or some combination of those four countries, if not all four. I spent just under two weeks there, and as usual I could have spent much longer there, however I think if you’re mixing it up you can be well served with two weeks and Laos. Transport is basically minivans – that’s how I got about, but also buses and even boats along the rivers if that suits you. Personally I actually flew in and out of Laos. Originally I was going to make the long crossing from Vietnam by land, but in the end flying worked out to be much more sensible so that’s what I did. 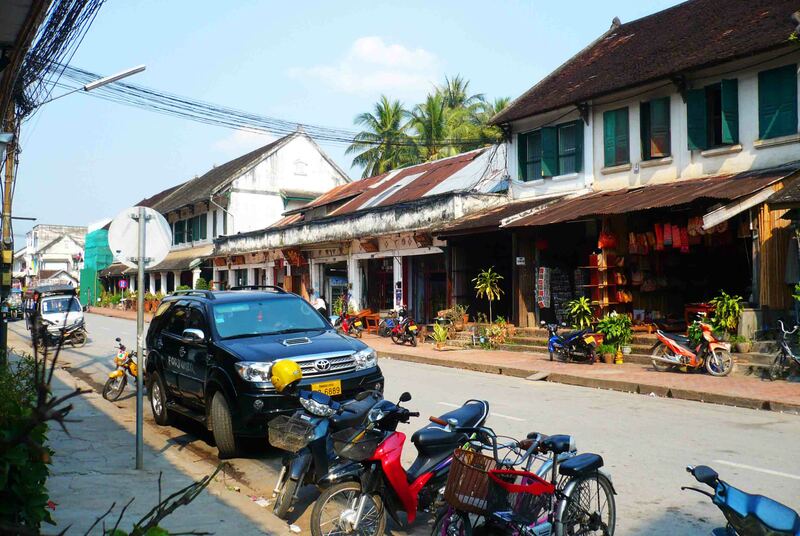 Luang Prabang, where I started in Laos, has quite a few connections these days, and so I flew Lao Aviation from Hanoi in Vietnam to the town of Luang Prabang in the country’s north. This is really THE highlight of Laos. 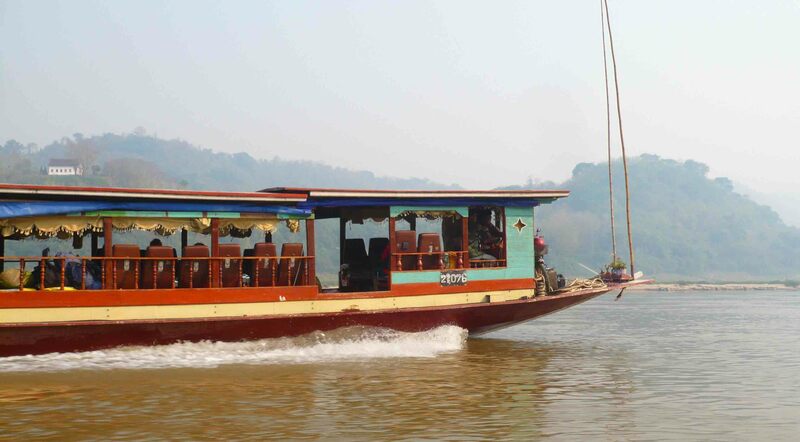 There are trips up the river to see caves and villages (which I did), some great eating (try a Lao BBQ!) and not too far out of town an idyllic waterfall where I swam and relaxed. It’s not a hurried, bustling place at all. 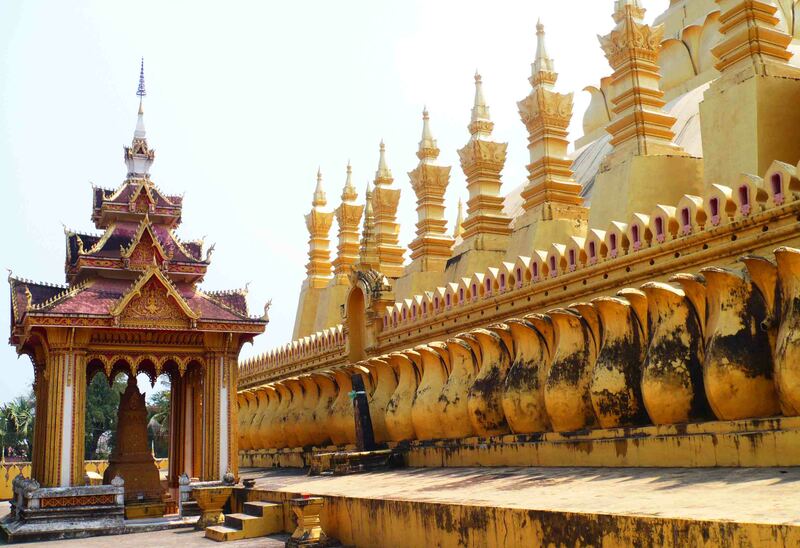 There are a few temples to visit, and plenty of restaurants and river views – I even took in a Lao fashion show – however it is a peaceful place. Go in the winter months for cooler weather – it was high 30s in March. From there I took a mini van/bus to the town of Phonsovan. It’s not on everyone’s tourist trail, it’s a dusty town which is all in all not attractive and seems a little wild. 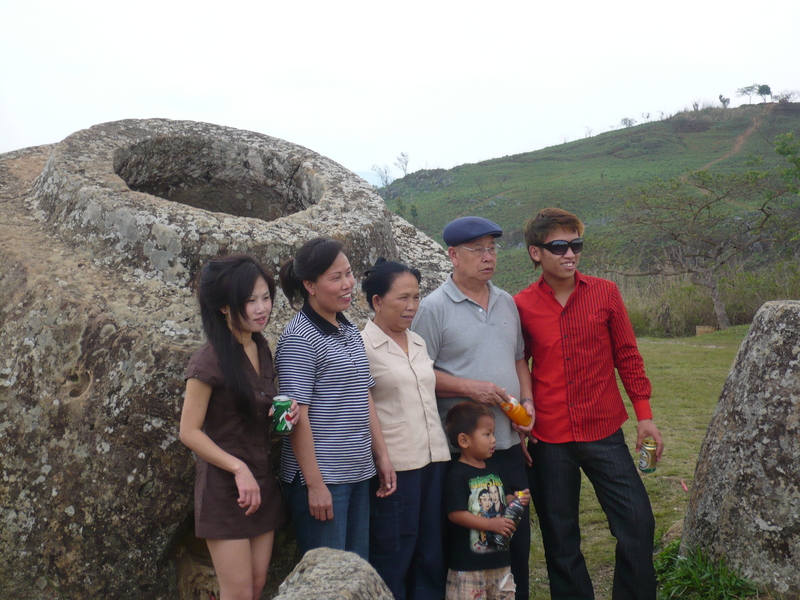 However, it is the place to go and see the famous ‘Plain of Jars’ – hundreds or more large stone jars over a wide area. 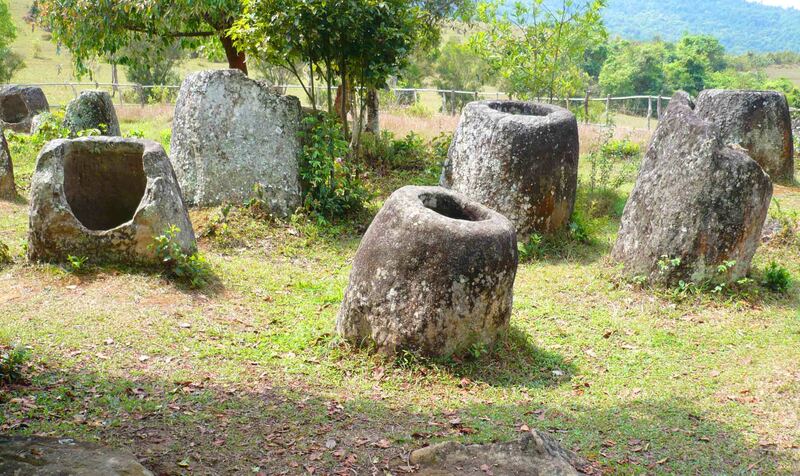 The belief is that these used to have lids and were in fact people’s tombs. They stand upright and are fascinating. This area is one to be careful in, so see the jars on an organised tour because the whole area is full of land-mines left by mostly (I think) the Americans during the time of the Vietnam war. 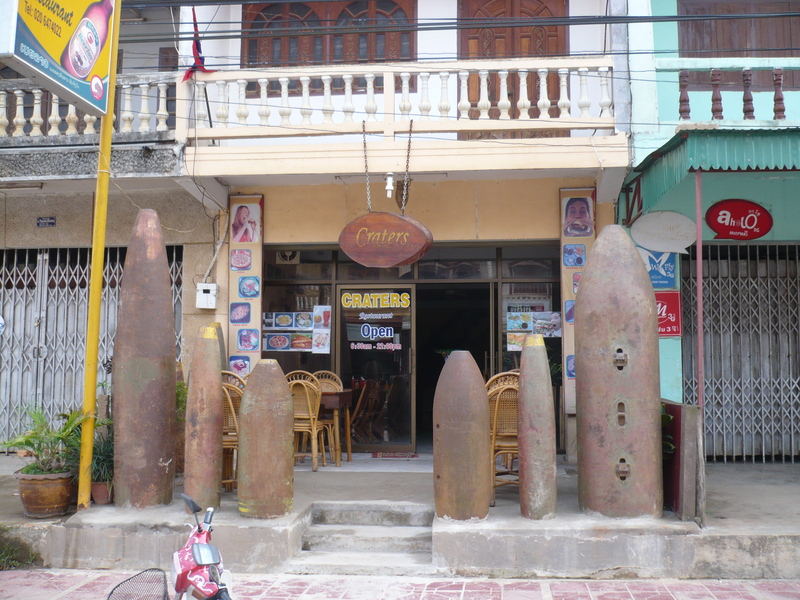 There’s a centre there that provides a lot of information about the work done to remove the land mines and unexploded ordinances in the area in Phonsovan, it’s an essential stop! From there it was south-westwards to Vang Vieng. 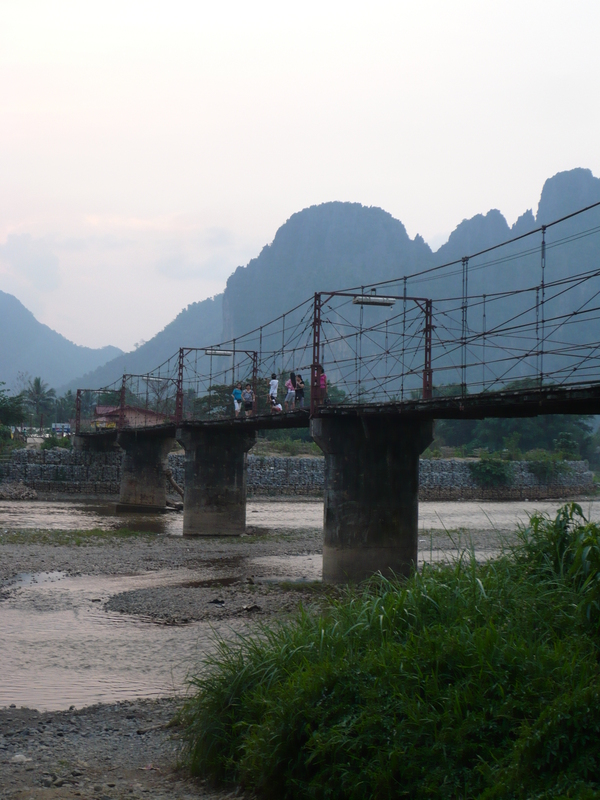 Vang Vieng is a backpacker stronghold, in a very pretty part of the country. You can try many activities there –hiking, adventure stuff, but it made its name from the activity of tubing. A little dubious in Vang Vieng is tubing – it’s mostly for the alcohol fuelled youngsters and it’s not uncommon for people to die on the river. The start of the run a few kilometres out of Vang Vieng has many bars either side with swinging ropes and the like. I tried it out. The river was low and the water was slow. It made it much safer, but less thrilling. Honestly – the place gets swamped with tourists, and people party and drink and take drugs like crazy. Not my scene! Finally down to Vientiane the capital, on the Mekong just across from Thailand. 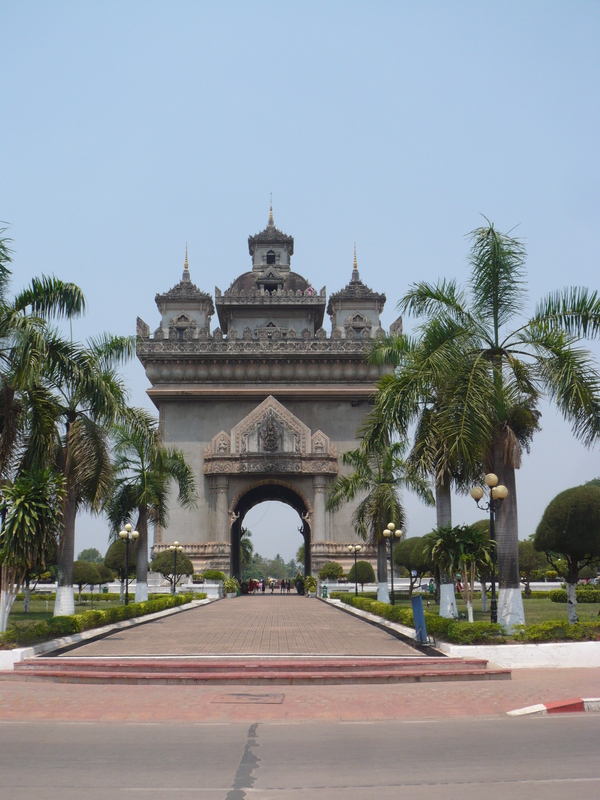 The biggest city in a large country, it has a population of around 700,000, out of Laos’s population of around 6.8 million. Compared to all its neighbours, Laos has a very low population density. The city still doesn’t feel that big. It’s got a number of nice temples and a few things to see and do, and if you need to organise visas then it’s handy – and most will pass through it especially if it’s to or from Thailand. Total: 11 nights, 12 days. You should consider going further north from Luang Prabang into the jungle, there is the ‘Gibbon Experience’ – I met a few who did it, living in a tree house for a few days, moving about on zip lines. I would have given it a go if time allows. Thanks for reading, take care, and May the Journey Never End!